Cowman knew about life's dark valleys---and about God's living waters that bubble up in their midst, bringing refreshment and joy. In this classic sequel to Streams in the Desert, she shares daily devotions providing hope, renewal, and insight into God's character. 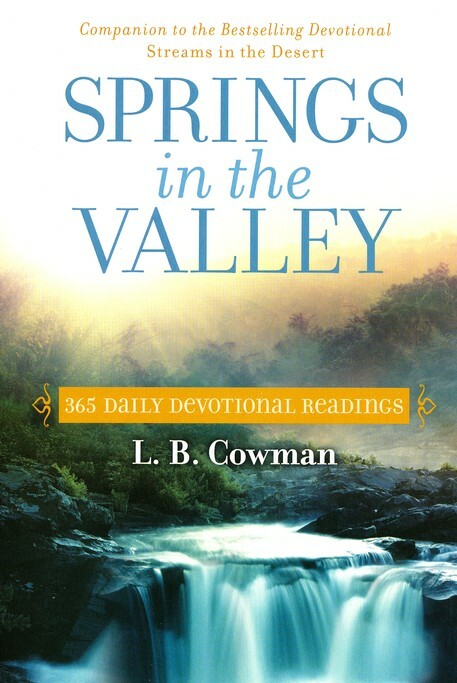 In this beautiful updated package, Springs in the Valley will continue to offer refreshment and joy to the thirsty traveler through God's Word and L. B. Cowman's lilting prose and poetry. Cowman shares cool draughts of wisdom and insight into God's character, drawn from the Scriptures and purified through a lifetime of experience. 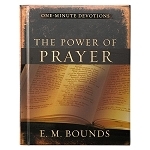 In print for more than 60 years, this beloved daily devotional challenges readers on the themes of hope and renewal. Men and women alike will be drawn to this follow-up to Streams in the Desert.